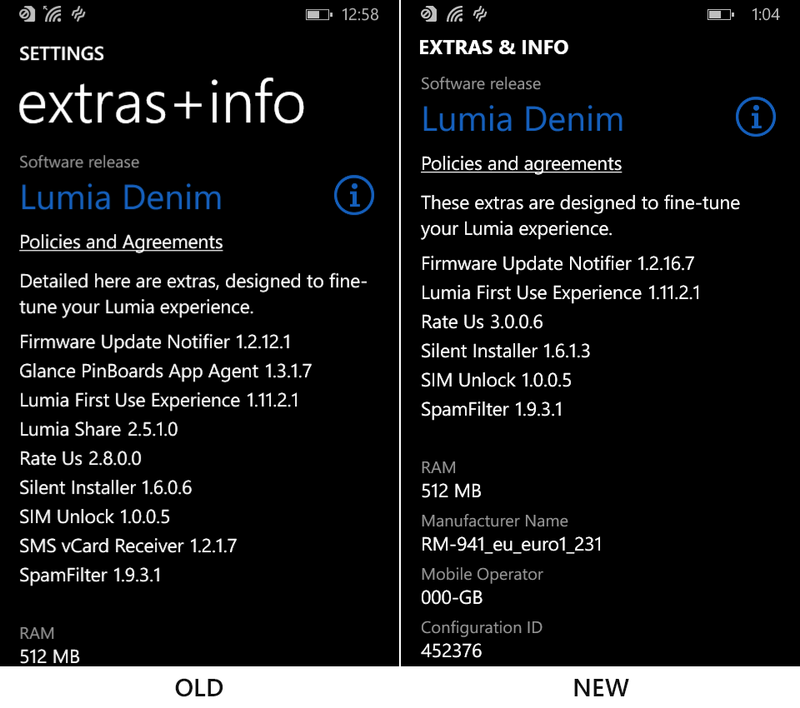 Microsoft released an update for "Extras+Info" which is a system app exclusively for Lumia devices. The latest update introduces a new user interface for the app. 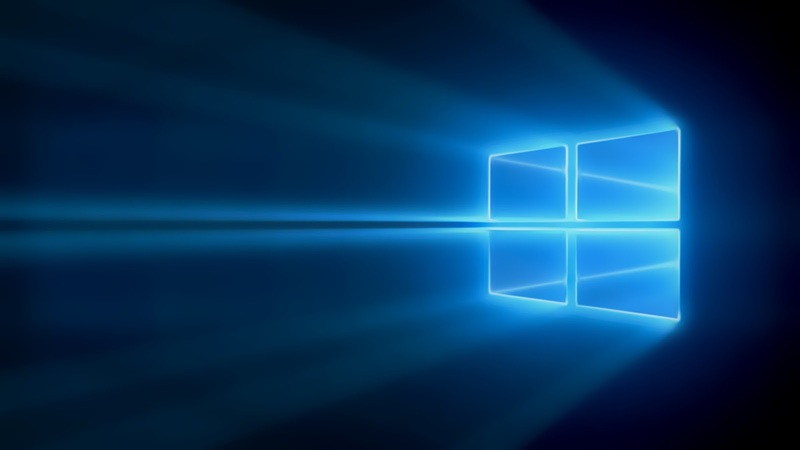 Additionally, Microsoft has replaced the "Lumia Denim" with "Lumia Windows 10".However it looks like Microsoft may stop stop releasing updates like Denim or Cyan and will release update for all Windows 10 Mobile devices thereafter. 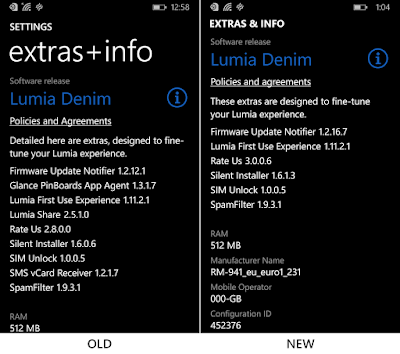 Also you can see the difference between the extras as compared to the previous and the latest update. extras+info is an easy way to ensure you always have the latest features, app updates and current settings. 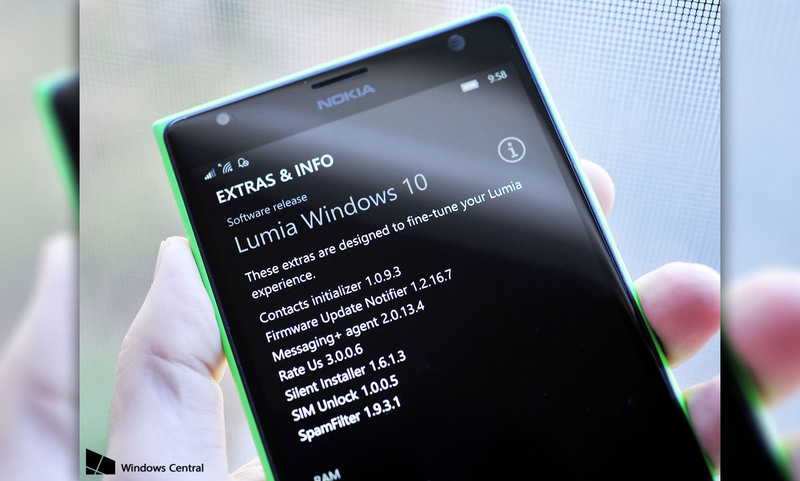 The latest version of this helpful app provides 'under the hood' improvements to fine-tune your Nokia Lumia experience.